The mission of Graceland Chiropractic is to help as many residents of Worthington as possible through non-surgical physical medicine. We are dedicated and caring physicians who strive to provide quality healthcare in Columbus and the surrounding areas of Worthington, Lewis Center and Powell, at a fair price. At Graceland Chiropractic, we continually educate ourselves through annual postgraduate courses and seminars. We are committed to staying up-to-date on the latest information so that we can provide our patients with the most advanced rehabilitation techniques and procedures available today. We are changing the way people think about “Health Care” by providing health care with a difference! At Graceland Chiropractic, we are your one stop office with Chiropractic, physical therapy, therapeutic massage, spinal decompression and BWC/personal injury care for Worthington, Columbus, Lewis Center and Powell residents. Take the first step towards relief by calling our Worthington office today. Countless other area residents already have! Call (614) 436-2225 today! Great place! Super friendly staff and knowledgeable doctors. I have been very pleased with my visits so far and have already noticed an improvement in my pain level. Nice and friendly staff, good massage and good doctors. I’m feeling significantly better after just 2 weeks! Front desk is very friendly making you feel welcome as if they’ve known you forever. Great place, great people, always feel better after my visit. 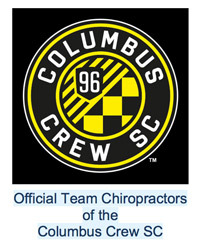 Friendly staff and great chiropractor that discussed my plan of care and answered all my questions. Love the practice! Staff are so helpful and friendly! I like the professionalism of everyone and the timeliness of appointments. It’s like the Taj Mahal of chiropractic care! State of the art facilities, and exceptional customer care and medical services with every visit. The level of friendliness and professionalism beats any other health care environment I’ve experienced. 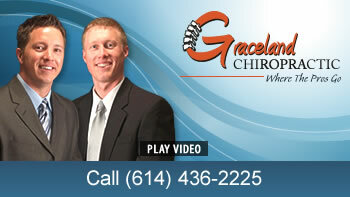 I have and will recommend Graceland Chiropractic to others. Love the people at this practice. All are very helpful and kind. You guys was awesome and professional. Thank you!